If you are purchasing the holiday home of your dreams, or immigrating to South Africa and buying property, you will probably need to transfer money to South Africa. Assisting immigrants since 2003, Incompass is able to offer a bespoke service to clients who need to transfer money to South Africa for purchasing property. FULLY SARS and exchange control compliant. ISO 9001 and 27001 accredited. Why choose Incompass for your money transfer to South Africa for property purchase? 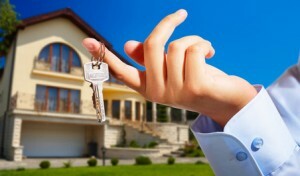 High Interest rates – Having a secure high interest bearing account to which you can transfer you money to. Many house buyers transfer their purchase money to an attorneys trust account which offers poor interest rates and no access. We are able to provide you with bank guarantees – when purchasing a property in South Africa it is common that you will have to provide a bank guarantee that the funds are available. Private style banking – you are provided with your own personal banker who can be instructed to pay on your behalf deposits, bills and even standing orders and direct debits. Allowing you to effectively run your account via your personal banker for any outgoings you may have to pay. Declaration of Assets – an often overlooked but vital part of the process for transferring money into South Africa. A failure to correctly declare your assets can result in unnecessary taxation and difficulties in repatriating funds. Compliance with the South African Reserve Bank regulations – South Africa operates a system of exchange control that effectively regulates the flow of all money in and out of South Africa. There is a common misconception that whatever money is brought into South Africa can automatically be taken out – this is not the case. It is essential that any currency transfers into South Africa are done in accordance with the appropriate rules and regulations and a failure to do so will cause issues later on if you wish to repatriate your introduced currency. It is highly unlikely that banks or currency companies based abroad are aware of these regulations. If you are purchasing property in South Africa and have a need to transfer money, why not contact someone from our expert team? Our advice is free and non obligatory, we save you money and provide you with the full knowledge of how best to transfer your funds to South Africa for your property purchase. 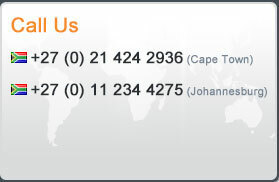 To find out more about how we can help you Money Transfer To South Africa For Property Purchase give us a call on any of the numbers below or send us an e-mail.